So. Let's say that your aunt was kidnapped and you received a ransom note from the kidnappers saying that they would give her back to you for $5,000. You have been carefully instructed not to contact the police and they do not tell you what they will do, if you DO happen to call the authorities. But you can let your imagination come to the right conclusion. They tell you to come alone to an old abandoned shack in the woods right outside of town. You have two friends who you think can help you find your aunt before the $5,000 comes due. Which do you call? * She's 13 years old so it's likely the kidnappers would not suspect her of trying to get the better of them. Her face is still too innocent. * She has two parents who trust her and yet seem to know where she is at the same time. They hold her to home responsibilities, but she has plenty of time to play/solve mysteries. * She runs in a pack of other teenagers and can easily become lost in a crowd, although she is well-respected among said crowd. * She's out-doorsy and is likely wearing pants which will make it easier for her to run away from any kidnappers. * She's loyal and fun-loving. * Even though she's taken some nasty bumps on the head and becomes admittedly sick and dizzy, she never lets this stop her. She just gets right back up and keeps going, never checking in with a doctor to see if she's fit to keep on living. She is virtually indestructible. * She likes eating hamburgers at Wimpy's. 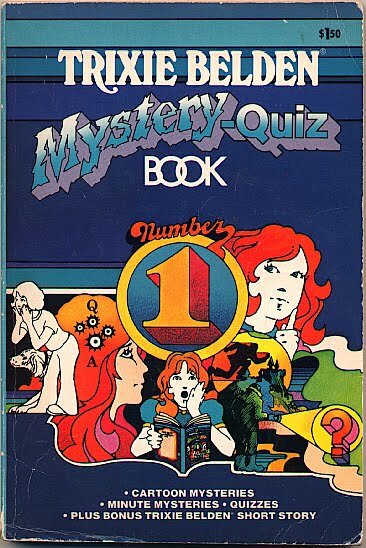 * She doesn't set out to solve mysteries. She just naturally falls into them and gets back out - alive. OR, do you call Nancy? * She's 16 18. She's beautiful and this might cause problems with the kidnappers. * She owns and drives her own car. * She dresses up and is always getting dirty. I bet her dry cleaning bill is exorbitant! * She only has one parent who doesn't really seem to expect her home at any specific time. He figures she's got herself covered. * She has a boyfriend who can appear on the scene and look protective and blonde if she gets into a pinch with the kidnappers. * Money is no option for her. If she needs it to accomplish the job, she'll find it right there and ready for her. * She has friends but they might not be as quick witted as she, and therefore might not notice if something happens to her and she turns up missing herself. * The police department has great respect for her. 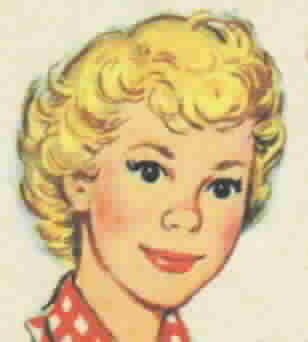 * Her palate is a bit more refined, thanks to Hannah, the housekeeper's, good home cooking! Picking up the tab after taking Nancy out to dinner as a 'thank you' will cost you a wee bit more. What would you do? Who would you turn to for help first? Both are fun, each in their own way, and rather successful at what they do. So - which do you think *I* would choose (since I can't choose Monk)? 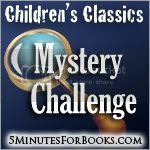 Come join us for the Children's Classic Mystery Challenge this month at 5 Minutes for Books! I guess I would have to choose either Nancy or the police. Trixie sounds like a positive BABY. As for whom you'd pick. . . I dunno. . . I'm guessing Nancy, too. You know, I don't remember ever reading either of them. 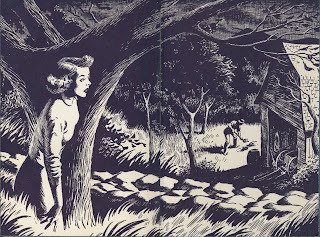 My guys read a little of the Hardy Boys (not the originals --I heard later they were better than the re-written ones), but they were mostly Encyclopedia Brown fans. 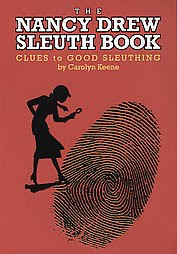 This all has me wondering why the teen sleuth genre when that would never happen in real life -- but I guess they're popular just for that reason, that young teens or pre-teens have someone in their age group to look up to or dream of following in the footsteps of. haha! Do you like Psych and the Mentalist? We loved Monk...and are about to order the DVD to complete our set. We enjoy the other two, as well. I would call Trixie, mostly because she has the whole gang to chip in when she gets stuck! But if given an open choice I would call Special Agent Jethro Leroy Gibbs! 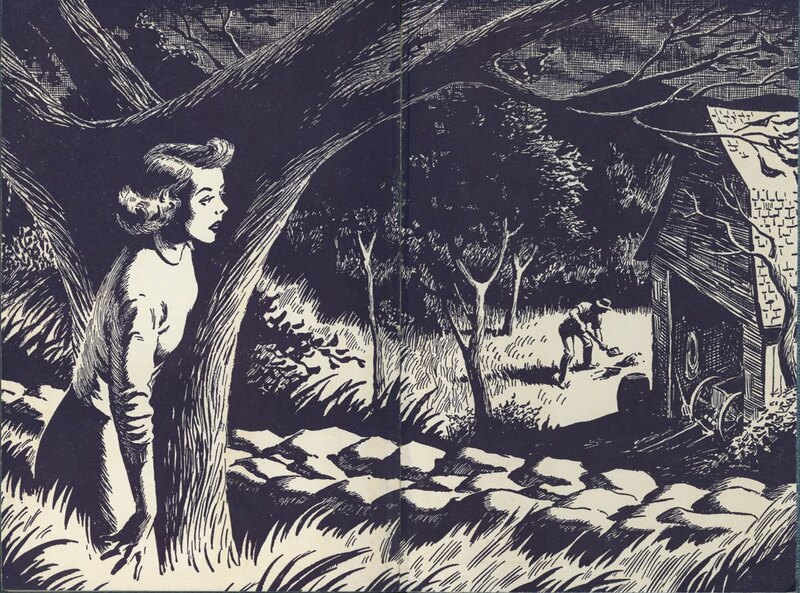 PS My guess for your choice would be Nancy Drew. As for what YOU would pick? I have no idea. I don't think I know any Nancies. So that leaves me with Trixie! So here's the answer y'all - I'd choose Trixie. I just like her better. Yes, she's younger but she has that whole pack of friends and I like her family.